Have you ever wondered if insects can hear? Many people believe that, because insects have no obvious ears, they must be deaf--but that's not the case. In nature, a keen sense of hearing is a vital survival mechanism, and insect hearing is some of the most sophisticated in the animal kingdom. The grasshopper serves as an excellent example of the ways in which many insects are able to receive and process sound waves. There is a popular misconception that grasshoppers have ears on their legs. In fact, grasshoppers have no external ears, but instead hear by means of an organ called a tympanum. However, the tympanum is indeed located near the base of the grasshopper's hind legs, which likely accounts for this belief. In order to better understand grasshopper hearing, an examination of their anatomy is beneficial. The grasshopper is the common name for a member of the Orthoptera order, which also includes crickets and katydids. They average between 1 and 3 inches in length, but can grow as large as 5 inches. Their bodies are segmented into three parts: the head, thorax and abdomen. They have four short legs and two large, muscular legs for jumping. Adults also have two pairs of wings, and short antennae. The hearing organ, which is a large membrane called a tympanum, is located on either side of the first segment of the abdomen, near the base of the hind legs. 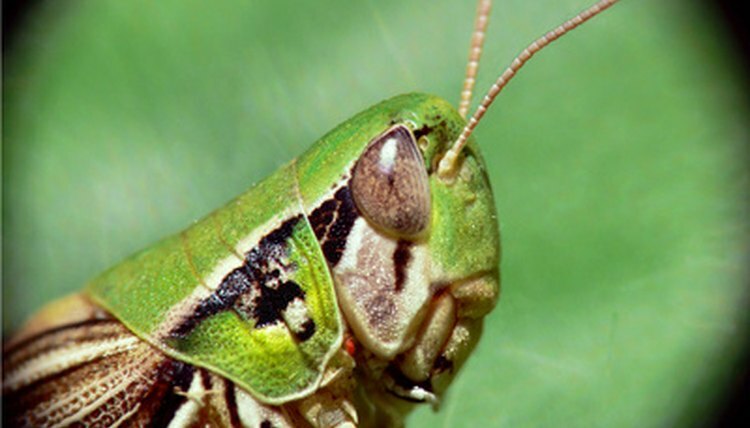 According to Friederike Gilbert and Norbert Elsner in the Journal of Experimental Biology, hearing in grasshoppers has evolved for the purpose of identifying predators, prey and potential mates. The tympanum is the most common means of hearing in insects, although others hear by echo location or the vibration of tiny hairs on the skin. Situated between the tympanum are air-filled tracheal sacs which act as an internal sound pathway. 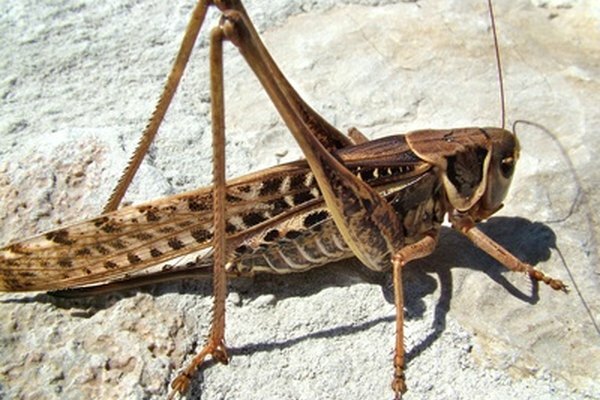 Like most animals, a grasshopper hears by receiving and processing sound waves. When the sound waves are received by the grasshopper, they act both on the external tympanum and the internal chambers. The interaction between these two pressures and the tympanal membrane results in the grasshopper’s ability to hear. This mechanism is so sophisticated, that a grasshopper’s ability to identify the direction of a sound source rivals that of a human. Aside from locating and avoiding predators, acoustic communication in grasshoppers is mainly used for the attraction of mates. The male initiates a call, often a whirring or snapping noise, which is heard by the female. The male then listens for her response, and due to his sensitive hearing, is able to pinpoint her location with relative ease. Thus, a grasshopper’s ability to hear helps ensure the survival of the species. Friederike Gilbert and Norbert Elsner, Journal of Experimental Biology vol. 203.